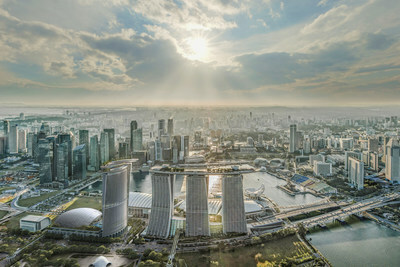 LAS VEGAS, April 3, 2019 /PRNewswire/ -- Las Vegas Sands today announced a bold expansion plan for Marina Bay Sands in Singapore which will see the world's most successful and recognizable integrated resort add significant new tourism offerings to the property. One of the most recognizable buildings in the world is going to get bigger. New 1,000-suite hotel tower and 15,000-seat arena headline Marina Bay Sands expansion plan in Singapore. Mr. Adelson added that the new development would grow overall tourism to Singapore – much the same way Marina Bay Sands has since opening – continue to create good jobs for Singaporeans and give a boost to local companies who will benefit from the increased tourism and additional procurement spending. "I'm very proud of the commitments we have fulfilled and our on-going relationship with the people and government of Singapore. Integrated resort development in Singapore is a tremendous example of government and private business working together to maximize an opportunity that benefits all those involved," concluded Mr. Adelson. This press release contains forward-looking statements that are made pursuant to the Safe Harbor Provisions of the Private Securities Litigation Reform Act of 1995. Forward-looking statements involve a number of risks, uncertainties or other factors beyond the company's control, which may cause material differences in actual results, performance or other expectations. These factors include, but are not limited to, the uncertainty of when, or whether, work will commence on the project and whether the project will be completed, whether the actual budget will be consistent with the projected budget, whether the project will create the anticipated economic benefits for Singapore or Marina Bay Sands, and other factors detailed in the reports filed by Las Vegas Sands Corp. with the Securities and Exchange Commission. Readers are cautioned not to place undue reliance on these forward-looking statements, which speak only as of the date thereof. Las Vegas Sands Corp. assumes no obligation to update such information. Las Vegas Sands is the world's pre-eminent developer and operator of world-class Integrated Resorts. We deliver unrivaled economic benefits to the communities in which we operate. 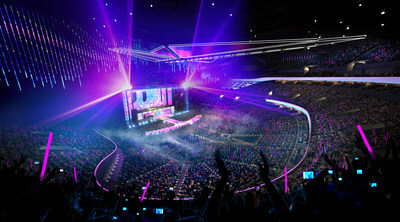 LVS created the meetings, incentives, convention and exhibition (MICE)-based Integrated Resort. Our industry-leading Integrated Resorts provide substantial contributions to our host communities including growth in leisure and business tourism, sustained job creation and ongoing financial opportunities for local small and medium-sized businesses. Our properties include The Venetian Resort and Sands Expo in Las Vegas, Sands Bethlehem in Eastern Pennsylvania, and the iconic Marina Bay Sands in Singapore. Through majority ownership in Sands China Ltd., we have developed the largest portfolio of properties on the Cotai Strip in Macao, including The Venetian Macao, The Plaza and Four Seasons Hotel Macao, Sands Cotai Central and The Parisian Macao, as well as the Sands Macao on the Macao Peninsula. LVS is dedicated to being a good corporate citizen, anchored by the core tenets of serving people, planet and communities. We deliver a great working environment for 50,000 team members worldwide, drive social impact through the Sands Cares charitable giving and community engagement program and lead in environmental performance through the award-winning Sands ECO360 global sustainability program. To learn more, please visit www.sands.com.